From different curves of the globe, this past week has seen two PR gaffes perpetrated by grown men with the minds of children and the emotional intelligence of blowflys. 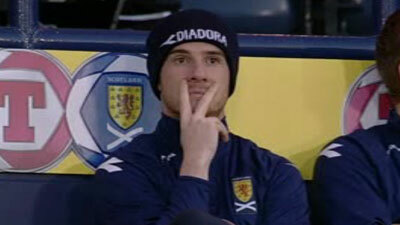 Over in Scotland, two Rangers FC players break national team curfew with a booze-binge; when censured they make ‘secret’ V-signs to show their rebellious displeasure. In Melbourne, a group of players (some senior) at the North Melbourne Kangaroos show their creative side (and character) with a mysoginistic video paralleling the romancing and trashing of a chicken carcass, with the modern dating scene. I’m sure all organisations concerned have good PR departments, so do these PR disasters show the futility of PR briefings, or suggest that even the best PR will in the world can be over-ruled by too much testosterone and not enough brains and empathy for organisational responsibility? To all concerned (Glasgow and Melbourne); way to go, guys!! When it comes to sports, a public relations practitioner’s biggest concern has to be the behavior of their team/league’s athletes. It could probably be considered a form of “adult babysitting,” and that may be putting it mildly. I’m sure that most professional and collegiate athletes are trained in what to say/do and what not to say/do, but they should probably have monthly, if not weekly reviews for some of the stubborn athletes out there. With athletes, whether pro or collegiate, it’s so important that they protect their image and their overall reputation because they serve as role models to so many young people. It’s unfortunate that these player incidents continue to occur, but when they do, the player’s team and/or league needs to step in quickly and correct the situation by discouraging the player’s action. Also, the team/league needs to reassure the fans that this one individual incident is being corrected and that it will be monitored more closely in the future. From a public relations standpoint, one eye always needs to be kept on potential problem athletes. It certainly wouldn’t hurt to attempt to get the players more involved in the community, showing they care about the community and the people that admire them.